Can you believe it is only this year that I first tried Sleek makeup? 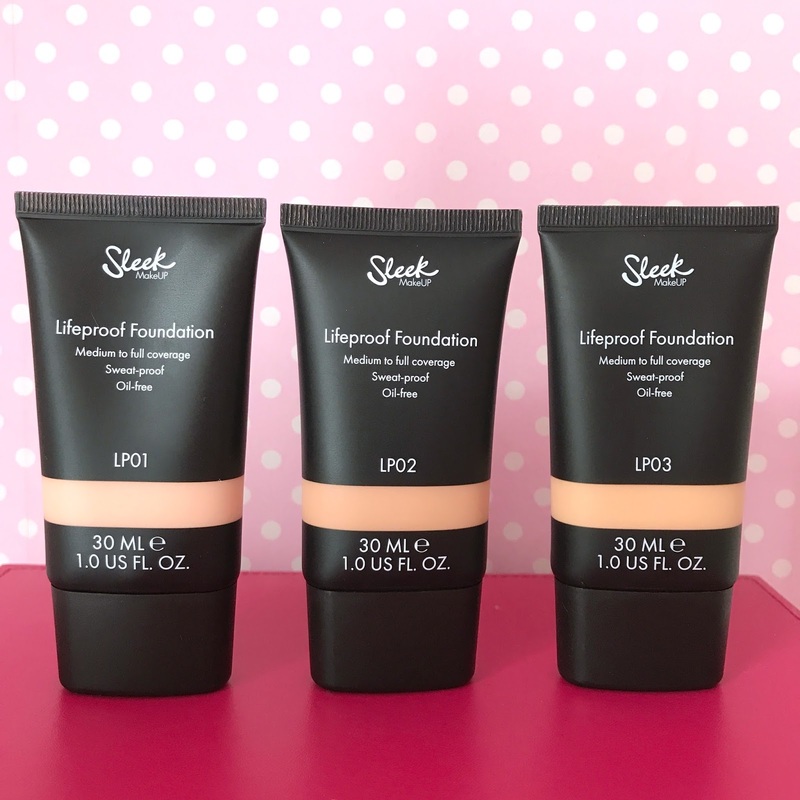 Me neither, I think I must have been living under a rock, but since trying my first Sleek products, I have been loving them and use them all the time, especially the lip products, they are so good! 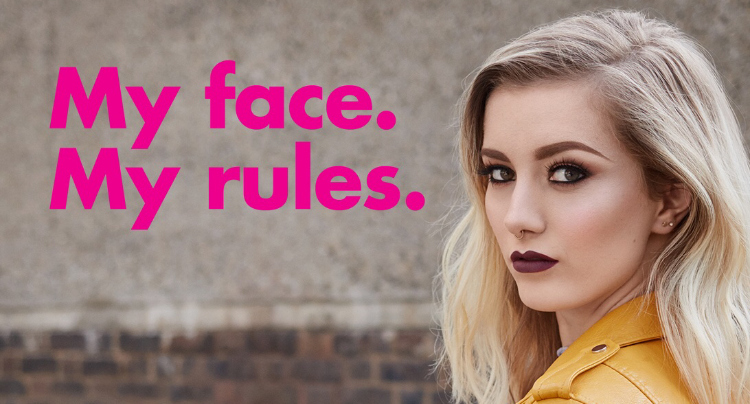 So when I was asked if I would like to try the new Sleek Lifeproof foundation £8.99 I of course accepted, but not only because I was excited to try the foundation but also because it was a great opportunity to tell you about the #myfacemyrules campaign. The My face. My rules. campaign is a campaign trying to tackle makeup shaming and is in partnership with the anti bullying charity Ditch The Label, the campaign has been developed to positively recognise and stand up for everyones right to define their own beauty, without boundaries. It's a way of saying it's ok to be obsessed with makeup, to put whatever you want on your face, whenever and however you want. Sleek are making it their mission to combat the judgement many of their customers face every day, the negative stereotypes that come with a full face of makeup, a bright red lip, or a bold brow. My face. My rules. is a celebration of individualism and uniqueness, with a true love for makeup at it's core. Every star of the campaign is a Sleek makeup consumer, the campaign was inspired by them and created for them, showcasing their incredible skills and amazing responses to the judgement they have all faced in the world. Having a daughter who was severely bullied because the bullies claimed she was "ugly" and because of the bullying hates her appearance and has zero confidence in all aspects of her life even now, 5 years on, it is extremely important to me to get behind this campaign and share it with you. You can watch the full campaign video HERE and read the full report by Ditch The Label based on research they carried out for the campaign HERE and if you would like to find out more about the campaign and the consumers involved, you can do so HERE. The Lifeproof foundation is available in 24 shades that come in different ranges of fair, medium and deep with cool, neutral and warm undertones which I think is pretty impressive. 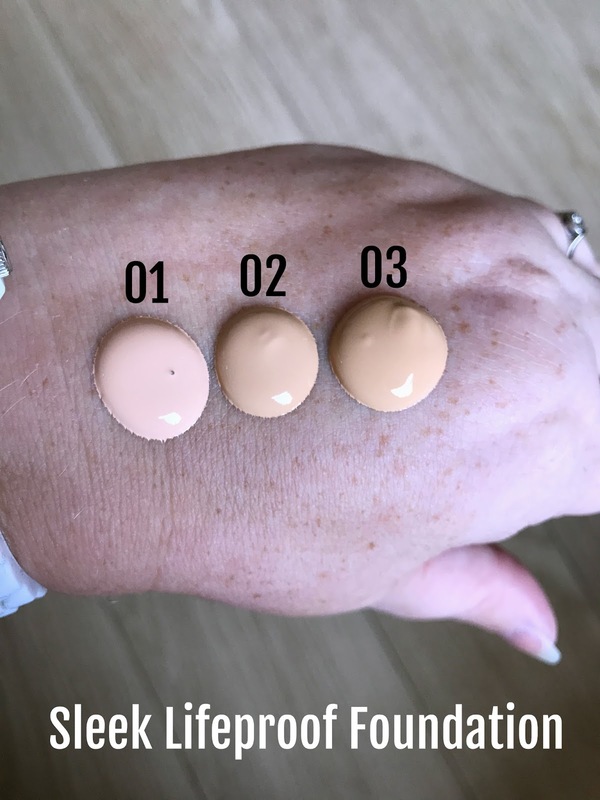 I have three shades in the Lifeproof foundation, shade LP01, LP02 and LP03, LP01 is fair with cool pink undertones, LP02 is fair with neutral undertones and LP03 is fair with warm yellow undertones. The shade LP02 is perfect for me, it is fair with neutral undertones, I usually opt for a pink toned foundation but this works brilliantly, I do still have some remnants of my holiday tan so when that has completely disappeared I may need to mix a little LP01 with LP02 or I may be LP01 but for now LP02 is working brilliantly for me. 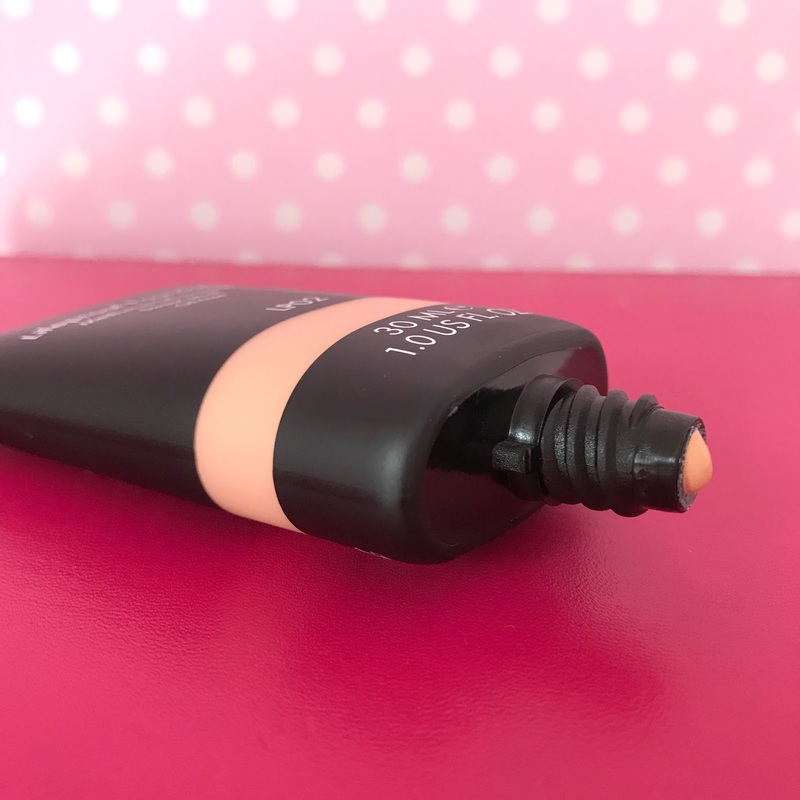 I really like the packaging of the foundation, being in a squeeze tube it is easy to get out and once I am running low I will be able to snip the end off and get all the product out, there is nothing worse than having half an inch of foundation left and having to bin it. The lid screws on too so there won't be any messy mishaps in my makeup bag as the lid won't come off. I have been extremely unwell since returning from my holidays and to be honest I'm still not 100%, but I have had what I can only describe as the worst chest infection I have ever had, it floored me, probably because of my other health problems but along with the chest infection from hell, came the eczema flare up from hell and I developed 2 patches of eczema on each cheek and on my nose, which is just perfect when I need to review a foundation and because I had been so unwell my skincare routine consisted of some Bioderma on a cotton pad swept across my face, that is it. So as you can probably imagine, my skin looks pretty awful and has done for weeks now, but I decided that instead of worrying about it, I would turn things round and take it as a good test for the foundation. So with my patches of cracked, bleeding eczema on both cheeks and chin, horrendous dry patches on my forehead and all round Sahara desert skin, I decided to try the foundation. My skincare the morning I was trying the foundation had been the usual Bioderma, and before I applied the foundation I used my trusty Smashbox primer (which has been discontinued - sob) I decided I would apply the foundation for the first time with my beauty blender as that is my preferred method of foundation application and what I always use and when reviewing foundations I like to keep my routine to give a fair test. I squeezed some foundation out and dotted it around my face and then blended it out with my beauty blender. The foundation blended beautifully into my skin and gave a medium coverage, the foundation has a matte finish to it but not in a flat powdery way, my freckles were still visible but it covered a couple of blemishes I had really well and I didn't need to apply any extra concealer to cover them. I added my under eye concealer and a cream blush and then I used a small amount of powder and added a powder highlight. The foundation looked lovely on my skin and to be honest, I was pleasantly surprised by that, I thought, having such dry and dehydrated skin that the foundation might not be for me and it might look cakey and settle in all the wrong places, but it looked lovely and gave me a nice even, matte, medium coverage finish. I wore the foundation for 10 hours and it wore really well throughout the day, having the driest skin in the UK, I can't speak for oil control but what did really surprise me both when I had first finished my makeup and when it came to removing my makeup, was that the foundation didn't look cakey at all or powdery on my skin. Sometimes with certain foundations I can lose it on my chin and around my nose because my skin is dehydrated, but I didn't and the foundation looked fine when it came to remove it and pretty much the same as it did when I applied it. due to dehydration and age and it hadn't settled into those either, it hadn't worn away anywhere either not on my chin or around my nose where I usually have problems. Inevitably I could see that the foundation had settled into the cracks on my cheeks and nose where my eczema was but to be honest, any foundation would have done that, my skin was cracked and bleeding and there isn't a foundation in the land that wouldn't settle in those area's, but it wasn't obvious unless you were close up to my face and didn't look anywhere near as bad as I thought it would, so I was pleasantly surprised. I realised about 6 hours after applying my makeup that I didn't have a photograph of me wearing it, so I snapped a quick selfie. You may be able to see from the photograph where the eczema is on the apples of my cheeks and a little further up, and on my nose too, down the bridge of my nose and the end of it, but I hope you agree that it isn't anywhere near as bad as it could have been. Since the first time I used the foundation, I have used it several times and it has become my go to foundation to use, I really like it, I can build it to a full coverage should I want to but I do usually go for a medium coverage, it applies beautifully and blends like a dream and doesn't settle into any dry patches, my eczema is much better now and I don't have any problems in the areas I had it. I am really liking the foundation and it leaves me with a nice medium coverage and a seamless finish to my skin, I really like it. The Sleek Lifeproof foundation is currently on offer for £7.00 on the Sleek website. 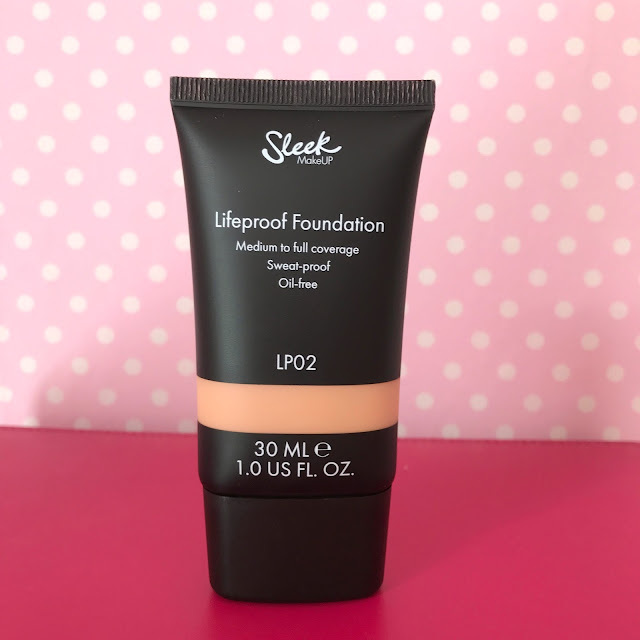 Have you tried the Sleek Lifeproof Foundation? Or is it something you would like to try? 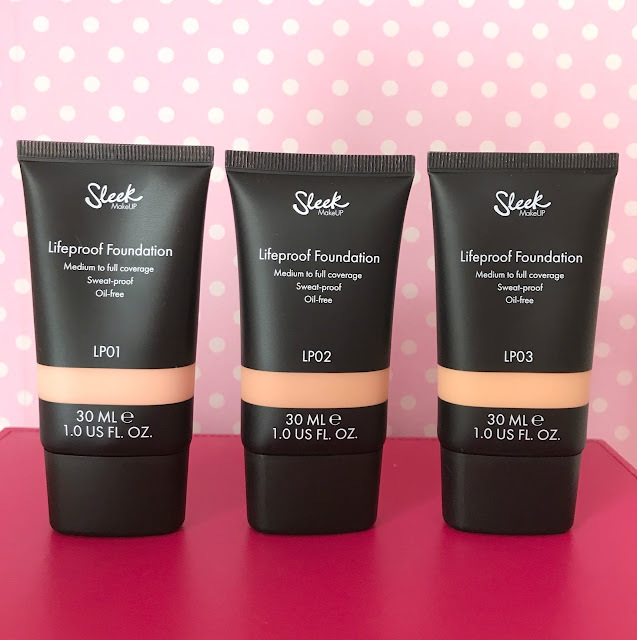 Have you ever tried a foundation you didn't think would be for your skin but it looked great? Share with me in the comments below.